Our cemetery offers a full and affordable selection of everything you need for a dignified burial. From outer burial containers to beautifully engraved headstones, monuments and vases. An outer burial container, such as a vault, is a lidded enclosure into which a casket or urn is placed prior to the burial. This serves two main pruposes: to protect the casket or urn, and to prevent the ground from sinking in and settling over time. Our cemetery requires an outer burial container for all burials. Different blocks in our cemetery have different requirements for what kind of marker you may place on a grave. 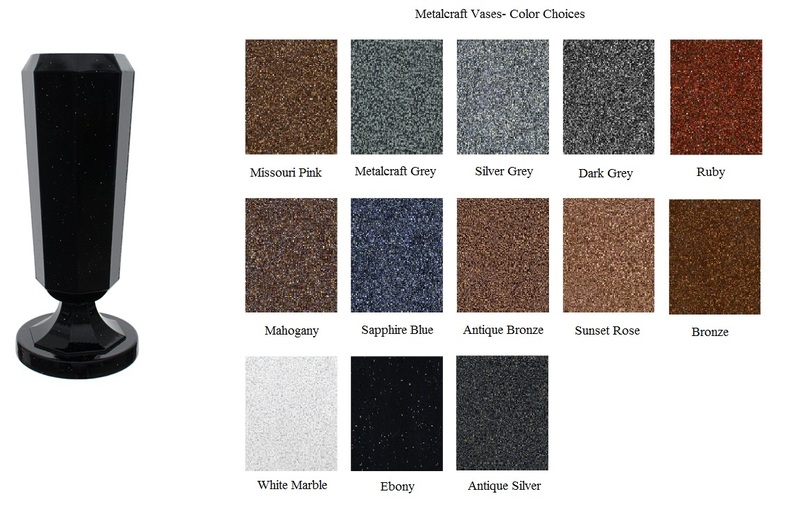 Granite markers come in a variety of colors. A single grave marker can be placed on a single grave. If you have two graves next to one another, you can have a companion marker with both names on it. 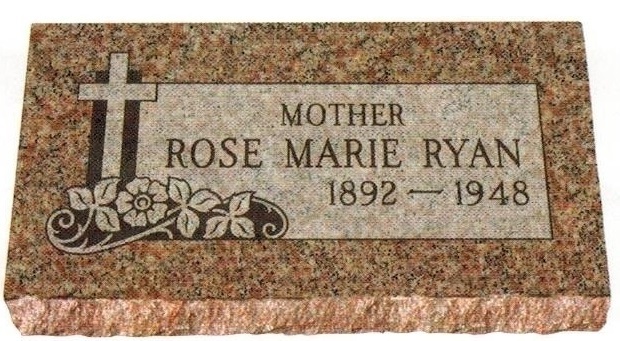 The most common type of marker is a flat granite marker. These markers can be customized and the price varies depending on the color of the stone. Block 15 is the only section that requires bronze markers. These markers can either be set directly in the ground, or on a granite base. Prices vary depending on whether or not you choose to have the granite base. Some blocks in our cemetery allow you to place an upright granite monument on two or more graves. Oftentimes these monuments can be ordered with vases attached to the base. Permanent vases are the best way to ensure that the flowers you place on your loved one's grave stay in place. Any flowers or decorations not placed in a permanent vase may be removed by groundskeepers during routine maintenance and cleaning. Vases are available in bronze or standard metal (shown below). Price varies depending on type of metal.